One of our all-time favorite actresses, Sandra Bullock looks casually cute and pulled together as she heads off on a weekend getaway for the 4th of July. Her airport-chic ensemble is a great example of how accessories can “make” the outfit. 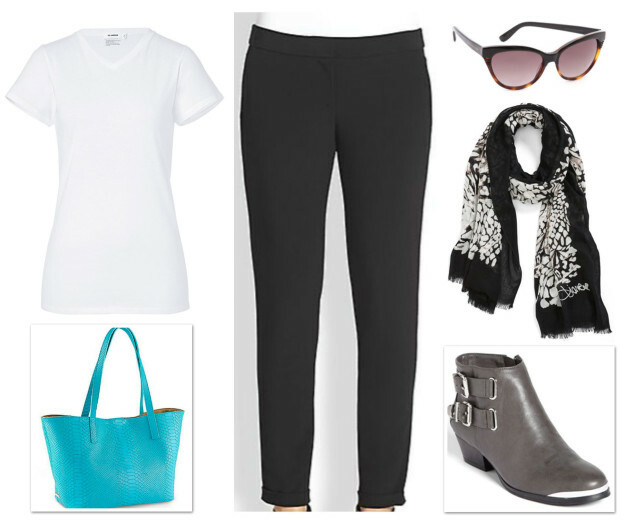 In this case, she paired basics in black and white with a standout bright aqua handbag and pewter booties. Mom to Louis whom she adopted in 2010, Sandra hardly looks her 49 years and we can’t believe that she’ll be 50 this month. Wow, we need in on her secret fountain of youth. We are following her lead the next time we fly. Get her look! What are the sunglasses she’s wearing? I can’t find them on Barney’s, Niemans etc. Ask Our Style Techs | More Size Options Please!